IF THE fact that as many as 1.2 million people died due to air pollution in 2017 in India, does not disturb us, then what does? -- is the question we the Indians must ask ourselves. It is a very disturbing fact that air pollution is the third highest cause of deaths in the country. And these statistical details are only one fourth of the story, so to say. For, countless other millions of people remain near-continually sick due to air pollution throughout the year, and their trauma cannot be calibrated. They spend limitless millions of rupees for their medical treatment, spend limitless days of relentless concern for the well being of their own and their dear and near ones, and remain almost in the shadow of death as there is no relief from bad quality of air spread across the country. Add this virtual hell of ‘living’ death to the the fact-sheet, and the picture becomes very dangerous, very dirty -- beyond words. Even though it is an everyday experience of all of us to see people moving with mouth-masks to save themselves from polluted air, the spectacle sends a fearful chill through the spine. Public hospitals, private clinics and nursing homes, as well as medical doctors belonging to all disciplines such as allopathy, Auyrved, homoeopathy, Unani practices are flooded with millions of people with respiratory diseases, skin afflictions, ophthalmic (eye) problems, cardio-vascular ailments, cancerous inflictions that a poisonously polluted air heaps on humanity. This is certainly a scary picture, to say the least, meriting an immediate and no-nonsense attention. Yet, it must be said in all sadness -- as well as helplessness -- that the Indian nation has failed to address this issue in the seriousness it deserves so amply. There is, of course, all levels a political tall talk and a massive social lip service to the cause of clean air. Yet all that falls terribly short in the absence of a concrete action to ensure clean air across the land. Even though this may sound harsh, there is no atonement of this sin -- by way of omission and commission -- indulged in by the people who rule and the people who are ruled, covering both the ends of the popular spectrum. If this is not scary, then what is? -- is the question. 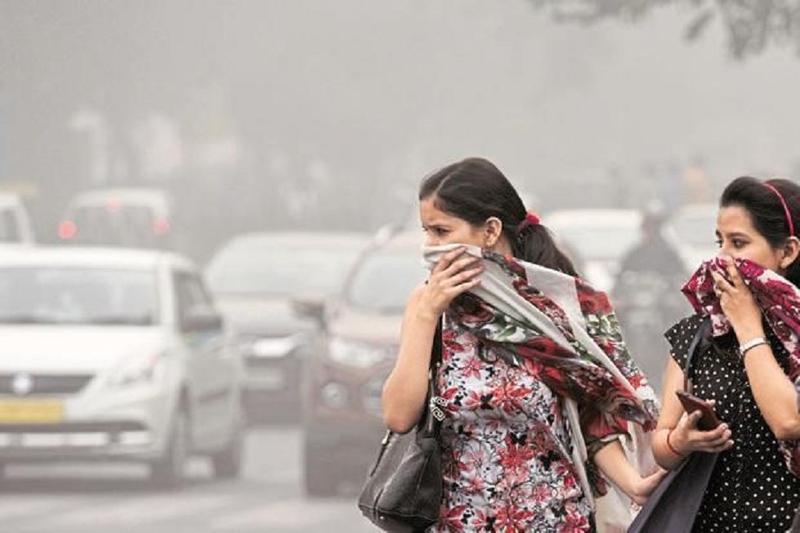 To some, this may sound as a lopsided judgement, but growing unplanned urbanisation may be one of the top principal causes of rapidly declining quality of air we breathe in. The terrible manner in which our cities are growing, the thoughtless manner in which our rulers are imposing various so-called developmental projects upon the people, the near-complete failure of the rulers to provide efficient public transport system so that the people’s reliance on expensive private transport -- these are some of the real causes of why we have not been able to check the falling standards of air quality in our country. It may seem foolhardy to some to insist upon considering a change in urban developmental thrust. But that is one of the prime areas needing immediate action. For, that is one area in which maximum pollutants get added to the atmosphere in measures beyond measure every minute of the day. Of course, whatever action is to be contemplated in this regard may start showing good effect after a fairly long time. No matter that gap, action must be initiated in a thoughtful, planned, and concerted manner as a top-priority national goal. However, such an initiation can take place only after the nation’s planners and developmental theorists agree upon a common goal and subsequent action. The first step in that direction, therefore, will have to be at the level of basic thought. A lot of deep contemplation alone will help the country to resolve the issue of terrible air pollution. That exercise will lead the planners to know that they are looking at the issue of environment as a whole. That will be good enough as a truly constructive beginning.